Although Greensboro typically has a short winter season, (only seventy-five nights that are below freezing and less than eight inches of snow per year), no one wants to spend a cold night, shivering in the dark because their furnace decided to die on the coldest night of the year. Most heating units have a lifespan of ten to fifteen years, but also depends on the brand, type, and if the unit was serviced on an annual basis. Typically, if maintenance is performed, the service technician can actually identify when the unit needs to be replaced, giving you the time to choose a new hvac system and preventing a sleepless night shivering in the cold. If you are looking for a new heating installation in Greensboro, then you should also consider buying an ENERGY STAR qualified furnace to lower your energy costs. Remember when buying a furnace, you want to make sure to look at the Heating Seasonal Performance Factor (HSPF) as it is used to measure the heating efficiency of your heating and cooling system. Also, make sure it is sized correctly for your home. A unit that is too small means you won’t be toasty during those cold nights. A unit that is too big would cycle on and off too frequently causing unnecessary wear and tear on the unit. This is why having your home’s heating load measured is so important. The standard for measuring the heating load is the Manual J Calculation, which uses a lot of important factors to calculate the right heating unit size for your home, like square footage, insulation, and even how much shade your home gets. After the heating system installation, you will want to make sure annual maintenance is performed at least once a year. Plus, neglected heating units use on average ten to twenty-five percent more energy than heat pumps that are serviced annually. Most annual maintenance plans include inspecting the ductwork, filter, blower and indoor coils for dirt and other obstructions. They also verify that you are getting adequate airflow, lubricate the motors and inspect the belts for tightness and wear. Identifying and replacing worn parts early prevents you from suffering through a frigid night. You will also want to make sure to change the unit’s air filters as needed to prevent a decrease in airflow. While most manufacturers recommend every three months, it is a good idea to check them every month and, if dirty or clogged, change them. Dirty or clogged filters will cause a decrease in airflow and increase in demand on the unit. Periodically, inspect the area around your unit to remove any limbs or plants that could interfere with the unit’s operation. 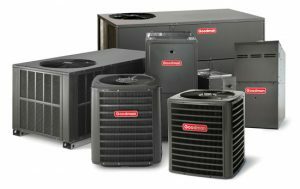 Berico Heating and Air Conditioning is family operated and offers furnace installation in Greensboro, NC. We are dedicated to keeping your home comfortable year round. If you care considering a new heating installation in Greensboro, we currently have several special offers that can save you money. Just give us a call today at 336-496-1447 to schedule an appointment.